A corrupt young man somehow keeps his youthful beauty eternally, but a special painting gradually reveals his inner ugliness to all. 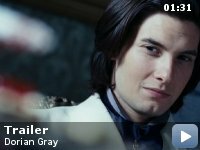 Fresh-faced and innocent, Dorian Gray arrives in London to move into the house he has inherited. Almost immediately he falls under the influence of amoral and calculating Lord Henry Wotton, leading to a life of increasing debauchery and even violence. 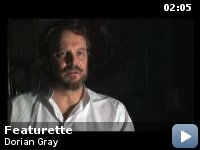 Through many years Gray stays as young-looking as ever, while a portrait painted when he arrived grows old, reflecting his increasing excesses. Eventually the picture, now secreted in his attic, becomes almost hideous to behold. When true love finally enters his life he realises he must guard his secret at all costs. Taglines: Forever Young. Forever Cursed. This is the second film starring Rachel Hurd-Wood (Sybil Vane) that involves an eternally youthful male lead. The first was Peter Pan. Incorrectly regarded as goofs: (At 16:00) When Dorian, Basil, and Lord Wotton are out for drinks in the bar/music hall you see Lord Wotton pouring alcohol from a "Hendrick's Gin" bottle; (it is a very distinctive dark glass bottle with a very distinctive diamond shaped label). "Hendrick's Gin" was not produced until 1999. The bottle is a standard apothecary bottle, and the label is also standard for the times. The bottle for Hendrick's is made to look like an old time apothecary bottle. Emily Wotton: I hope I'm not interrupting your reminiscence? Lord Henry Wotton: One charm of the past, is that it's the past. Emily Wotton: Hmm... I hope you're not also a dreary old cynic? 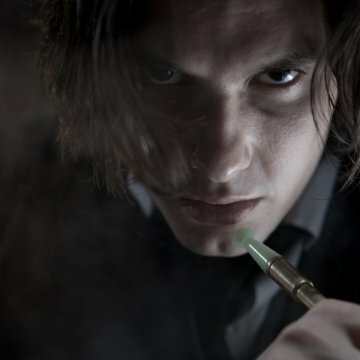 Dorian Gray: What is there to believe in? 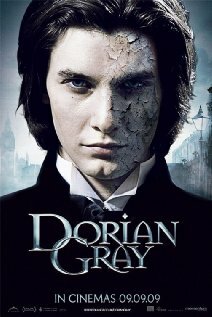 Dorian Gray: All I see is decay. Emily Wotton: For the religion. 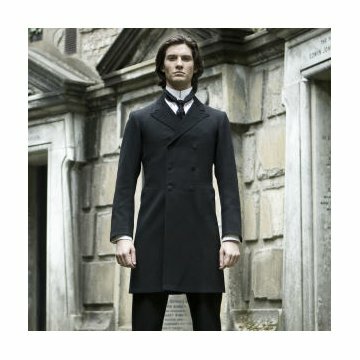 Dorian Gray: Fashionable substitute for believe. Who would have thought debauchery could be so dull? A young man's soul becomes trapped in his portrait. He goes on to lead a life of corruption, staying young and immortal, while the painting displays the consequences of his behaviour. 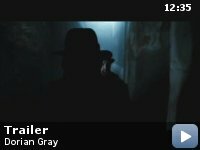 This film is beautifully shot, competently told, but it is boring, in spite of the fact that it moves at such a fast pace. Significant events, such as Dorian's relationship with Sybil, and the murder of Basil, are glossed over in a matter of minutes. I get the impression that the film makers were keen to get the boring story parts over as quickly as possible so that they could get on with filming scantily-clad women. There is little chance for any character or plot development and as a consequence Dorian's descent into corruption seems very false. Why does he look up to Henry so much and believe everything he says? I'm presuming that Dorian sees him as a father figure, going by the scenes shown of him being beaten by his uncle as a child (this is never developed into anything significant), but then why Henry over, for example, the much kinder Basil? Likewise, when Sybil kills herself, we don't really care, as her relationship with Dorian was nothing more than a brief contrivance to get them into bed together. As soon as you saw she was playing Ophelia in the theatre, it was obvious she was going to end up in the river. and then drops her caution (and her clothes) in a second just because Dorian tells her he loves her, literally just after they've met! 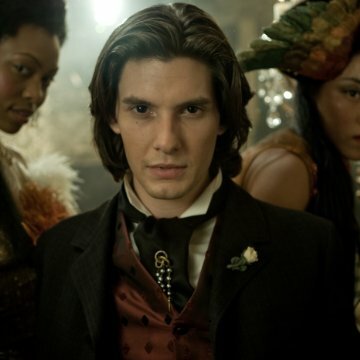 The far worse reason for Dorian's downfall - the murder of his friend Basil - is quickly skirted over. The murder comes out of the blue. Basil sees the painting and offers help to Dorian, who promptly kills him. Why? 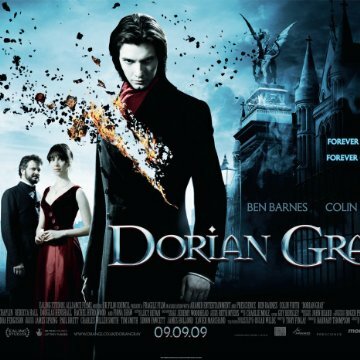 Throughout the film, Dorian never shows any shame or remorse about his behaviour (until the end anyway) so why does he care if people see the painting? There is no build-up, Dorian doesn't show any predilection for violence and when the murder occurs, it seems out of character, as does the cold way in which he disposes of the body, rather than, say, panicking and having a guilty breakdown. until she meets Dorian and then descends into the familiar role of vacuous, unquestioning love interest that most of the actresses in this film have been saddled with. It's also a shame the character of Henry's wife wasn't built up a bit more - a few lines in the beginning hint that she knows exactly what her husband has been up to and disapproves of his influence on Dorian. It would have been more interesting to have a few "light" characters to counterbalance all the "dark" temptations that Dorian is subjected to, as well as providing a moral framework to hang the good/bad conflict on. Lip service is paid to the concept of the soul and religion, but is not explored in any depth. The one thing this movie excelled at was building up the evilness of the painting. In a wonderful double-standard, Henry is shocked when he sees it, in spite of the fact that he's the one who has been promoting a life of debauchery from the start. I thought it was a shame that we only saw Dorian become his real self for a short time. Perhaps budgetary constraints were responsible for that. It's also a shame that Emily never gets to see his "true" face and find out exactly what she has fallen in love with, particularly as she did not seem to question anything about his abhorrent behaviour before she jumped into bed with him. When we finally see the painting, it is a huge anticlimax. It's not that corrupt, shocking or scary. Much like this movie in fact.